Mr. and Mrs. Harvey were in charge of burning the coals. Engine Number 4, also known as a Dinky, was used in transporting the gravel to the main railroad line. The Cotton Belt Railroad used the “Gumbo Gravel” in making the railroad track from Fort Worth to Texarkana, Texas. The “Gumbo Gravel” was used to hold the crossties in place and keep them from washing away. Three pits were created on the Jordan land about two miles north of the Josephine business section. Later, two more pits were dug on the Hubbard land south of the original pits. As a result, small lakes were formed. 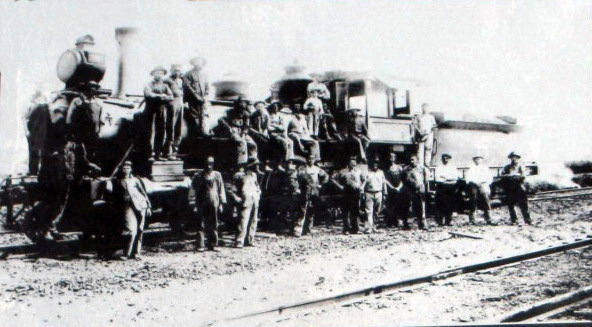 The “Gumbo Pits” had a major role in creating the railroad connecting Collin County with nearby counties. The railroad allowed settlers of Collin County to travel to places much faster and safer. It truly made a difference in the lives of early settlers of Collin County, Texas.